Installing the JumpCloud app will provide a Single Sign-On (SSO) for Freshservice using SAML. - Users can access Freshservice by logging into their JumpCloud user console. 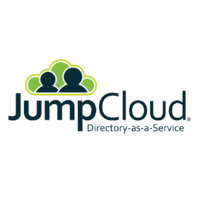 - Users can be sent back to the JumpCloud user portal when they log out of Freshservice. Please copy paste the link https://support.jumpcloud.com/customer/portal/articles/2388654-single-sign-on-sso-with-freshservice to get a detailed step by step guide for the integration.